Attendance at Wits Theatre’s 969 Festival have been far from overwhelming. This is despite the fact that plays being staged were hand-picked from the best productions recently on stage at the National Arts Festival in Grahamstown. The Director of Wits Theatre and curator of the festival, Gitanjali Pather, said she was disappointed that out of student population of 30 000, 5 000 of whom live in campus residences, the audiences have only been about half full. 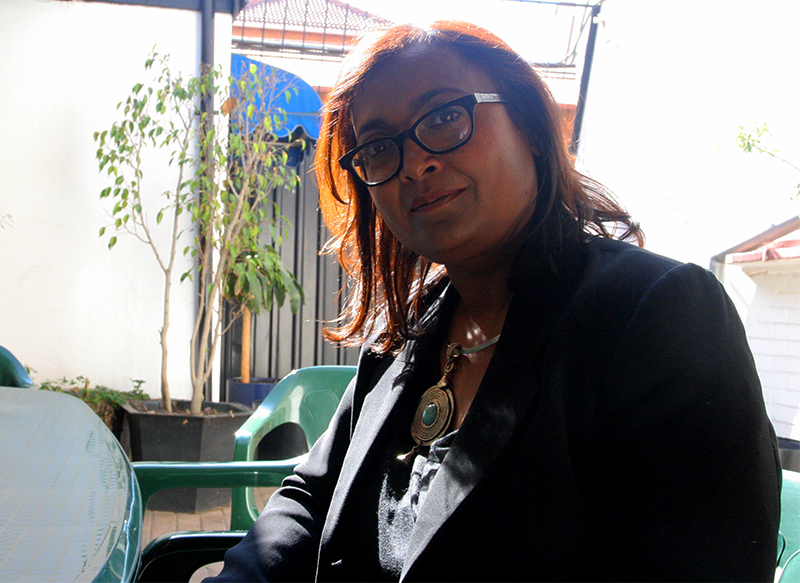 “My chief challenge is to change this… I love this university and I want to make Wits Theatre and festivals like the 969 integral to the life of the university,” said Pather, who surprisingly—for all her enthusiasm and passion for Wits Theatre—is only five months into the job. But once she began explaining why she thought theatre was so important, her enthusiasm became easy to understand. “The theatre is an arena of contestations, of opinions, of ideas, of world views, of realities and it requires us to think. No one walks away from theatre unchanged,” she said speaking about the differences between theatre and more popular entertainment mediums like television. Pather explained that since her four years as CEO of the Market Theatre, and right through her “sabbatical” from the politics of being a theatre manager, when worked in advertising while still teaching theatre, she always felt the stage offered a powerful avenue for social activism. Pather’s 27 years in the arts run almost parallel to the 30 year history of Wits Theatre; the coincidences telling and almost poetic. “When I entered the profession, the arts and the cultural aspirations of the majority of people were never seen on our stages,” said Pather. However, she also recalled the journey South African theatre has made from protesting minority rule, to offering therapy and hope for the masses. “It allows people to experience change and catharsis and insight”, she said. More importantly, she said, the arts offered students a “hemispherically balanced” experience, drawing on left brain and right brain. Witsies, according to her, have everything to gain from attending the 969 Festival. The festival closes with Skierlik showing on Saturday and Writer’s Block on Sunday.